Search engine spiders haven’t yet evolved to the point where they can directly extract the meaning from a visual medium such as a photo or a video. Instead, search engines must rely on the metadata we provide them through alt attributes, title attributes, surrounding elements (for context), and so on. With some basic techniques, we can enhance the semantic value of images and videos so that search engines, as well as humans, can better deal with them. The simplest thing you can do to increase the meaning of <img> elements is to use human-readable file names. For example, let’s say we have a web page about a local hockey team called Spitfires, and I took a photo of the team at their latest hockey game that I want to post up on the page. Instead of using the auto-generated file name that digital cameras assign to our photos (such as DS10213.JPG), I would rename it to something semantic and human-friendly such as spitfires-local-hockey-team.jpg. The image now has a better chance of being indexed for terms such as “spitfire” and “hockey team”. The image may eventually rank in the top rows for Google Images and drive traffic to your site. The second aspect involved in optimizing images for SEO is placing important keywords in the image’s alt attribute. The alt attribute is typically regarded as the primary attribute of an image that a search engine will use for gaining context and meaning. Much like writing title tags and meta description tags in the <head> of an HTML document, image alt attributes must make grammatical sense. In other words, don’t stuff keywords in them. Write your alt attributes for humans, first and foremost. Search engines view alt attribute keyword-stuffing as a bad practice and may ban your image from search results. Much like images, videos can’t be crawled purely by its contents. However, there are signals and metadata that search engines use to understand what the video is about. The main thing to optimize is the title of the video, especially when you’re using a third-party streaming service such as YouTube or Vimeo. 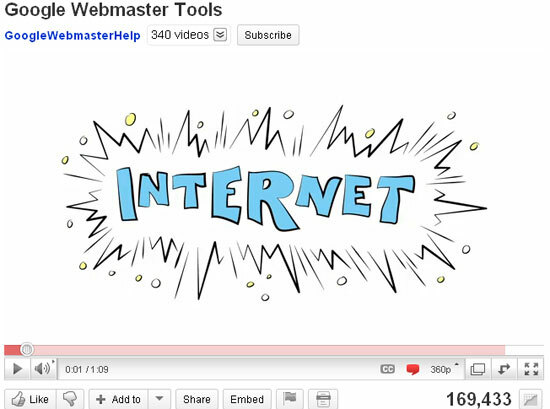 Google’s video tutorial for Webmaster Tools on YouTube is a great example of an excellent video title. The title of the video, “Google Webmaster Tools”, contributes to the ranking of the video on YouTube searches as well as regular search engine results. Another element that affects the search results of a video is the video’s description. Below is an example of a video description from a Java programming tutorial. The targeted keyword, “Java tutorial” is mentioned at the beginning of the description, and again in the second sentence. This videos ranks second on YouTube for the search phrase “Java tutorials”. Another way to increase ranking in the search results for videos is to get as many views and Facebook Likes on your video as possible. This is based on the assumption that search engine algorithms take social proof as a ranking factor. If your video gets a substantial amount of Facebook Likes compared to other videos in the same vertical, there’s a higher chance you’ll rank better for your targeted keywords. SEO for images and videos takes little time to implement and can provide significant results in niche markets. For example, when you’re having trouble getting a page or article to rank for a competitive keyword in your niche, posting an optimized video or image may help you get a leg up. At this time, search engines can’t index the actual content of an image or a video, but with our help, we can provide them with greater meaning and context using simple and practical (but often neglected) techniques.